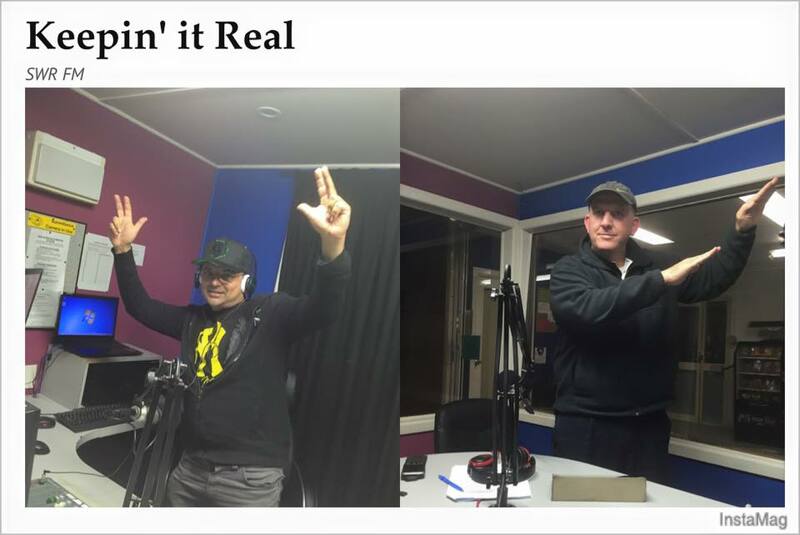 Franky Gutierrez, Bill Gold, Darren McErlain & Dinesh Poorun, also known as Franky G, Billy G, Dazza the DJ Easy D & Dinny from Keepin' It Real atSWR-FM. Sydney Airwaves have been buzzing from Blacktown, since April as radio show Keepin’ It Real gains popularity around the world. 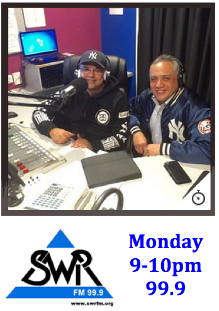 The show is presented live from the studios of SWR-FM in Blacktown each Monday night from 9pm, by rising radio icons Frank Gutierrez and Dinesh Poorun, also known as Dinny & Franky G.
The presenters are keeping their lips sealed about a surprise comedy sketch in Show 13 tonight, but it features a new product that could bring success to any market! Dinesh said the show broadcasts live around the world online but is uploaded on Mixcloud and is climbing up the popularity charts. Both presenters are also Lecturers from UWS College in Quakers Hill and enjoy broadcasting to the region where they work. “Many of our students live in the catchment area of SWR-FM and so there is a great sense of community in Blacktown, and we are happy to be a part of it,” said Dinesh. The success on Mixcloud has been a pleasant surprise for UWSCollege and SWR-FM for College radio demographic with 6 Top 15 positions on the Global Charts. “There are thousands of shows uploaded each week so we are really humbled by the attention we have received,” he said. “I made my radio debut on SWRFM as a school boy all the way back in 1992 so I was very excited to return to where it all started,” said Dinesh. Frank said that they have both lived around the SWR FM region, and hope this translates into meaningful radio that listeners can relate to. “It is clearly a highlight of adding to people's happiness with the music, using a wide range of generous participants for weekly segments, and the opportunity to make people laugh with our comedy sketches,” said Frank. Many regular listeners were shocked with the departure of one of the original presenters, Bill Gold known as Billy G during episode 10 for personal reasons. “In true alternative media style, we focused on 4 stars from Seinfeld who rarely get a mention these days, and we brought listeners up-to-date with their current projects,” said Darren. “The show brings a new dimension to the Sydney market with by playing music from the eighties, nineties & naughties with a themed purpose and some live unpredictable banter,” he said. Dinesh said the show appeals to a wide range of people as young as 6 and as old as 85 at the moment, and could have a big following around Australia. 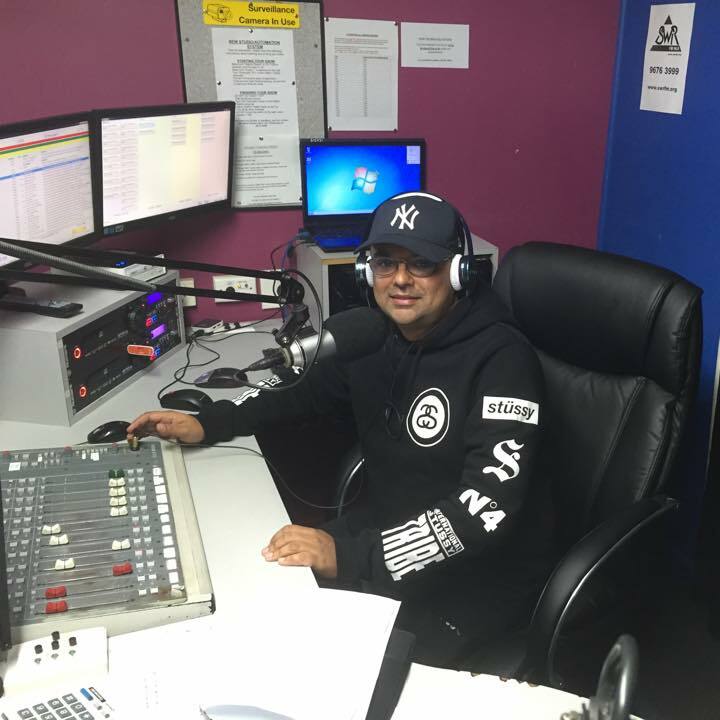 “We hope to continue to build a local audience in Blacktown and globally through SWRFM and Mixcloud, and perhaps the show could hit the road and tour in 2016,” said Dinesh. Keepin’ It Real can be heard on SWR-FM Mondays 9-10pm 99.9 and online at http://www.swrfm.org/listen-online/. 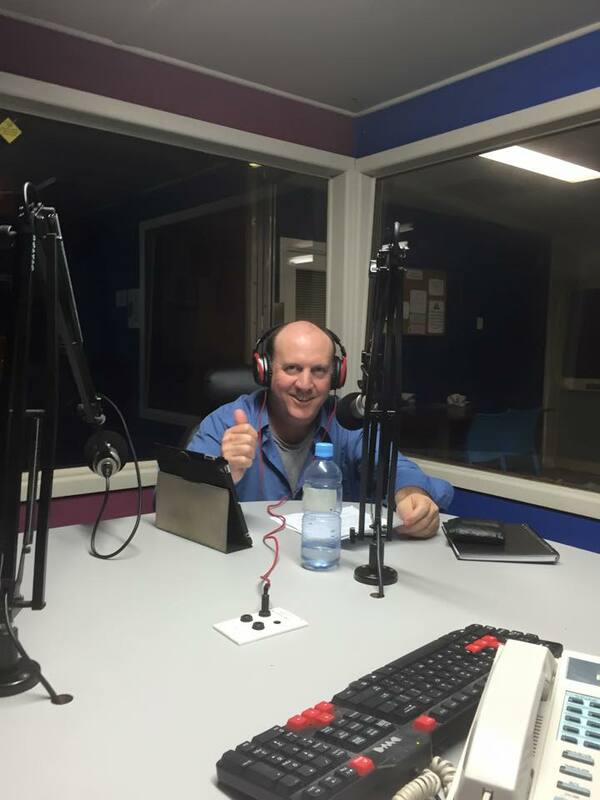 To request an era contact the presenters at the Blacktown studio on (02) 9676 3999 or connect through their Facebook page.